Kidkanevil with another surprising release! This time it is a collection of 27 electronic scraps and beats, in a tribute to famous Raymond Scott, composer, audio engineer, a cooky scientist inventing early electronic devices such as polyphonic sequencer, or first self-composing synthetizer called Electronium. 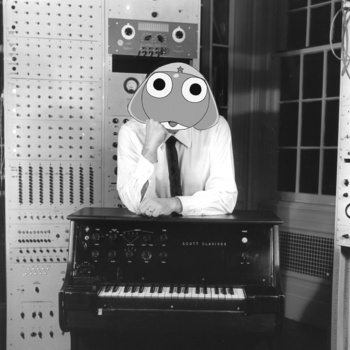 He has influenced many big names of the early electronic music era. His music also inspired naughty Londoner, Kidkanevil, to produce a fantastic, funny and highly entertaining beat tape using Scott's samples as source material. Kidkanevil vs. Scott offers pure sonic pleasure for any beathead. I personally had great time listening to these short sonic sketches. Grab it for free via bandcamp.